A large school with over 1,000 students and 100 staff requiring access to a brand new building each with clearly defined access privileges. An access control system that allows staff to access the newly built Arts Department via entrances that are restricted to students and the general public. Future proofed with the ability to control multiple sites within the Academy group. Grosvenor Technology’s entry level access control systems are anything but light on features, and can be every bit as effective as their world renowned Janus and Sateon siblings- as one Secondary Academy in Corby has discovered. The Kingswood Secondary Academy is a large school in Corby, Northamptonshire. 1,130 pupils and over 100 staff occupy the state of the art building, which was opened in 2013. Jeremy Haynes, Design Surveyor at Sonic Security Services Ltd suggested the installation of Grosvenor’s popular Sateon Pro access control system, which offers the Academy the core features required by the school and provides installers with a convincing sales proposition across a broad range of projects. Thanks to Sateon, Sonic Security Services was able to provide an access control solution for the staff entrance that was quick and easy to install and is cost effective. 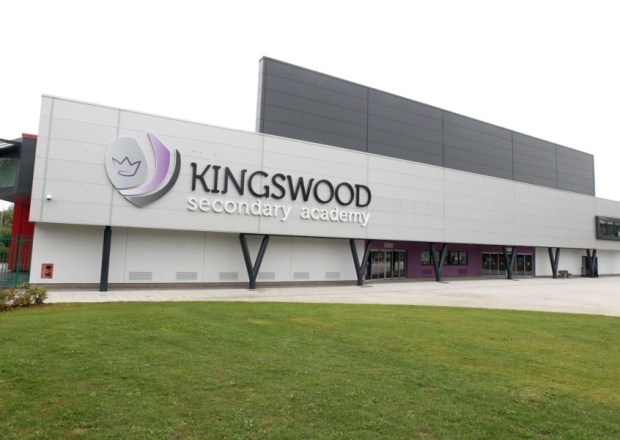 All Kingswood staff now enjoy easy access via their ID badges, which add another layer of reassurance – as staff can query the status of any visitor to the building not wearing an ID badge – all at no extra cost to the Academy. Cardholders can also be given individual access rights; if, for example, contractors needed to use the staff doors, access could be granted between specific working hours and be automatically rescinded once the work is complete. Sateon Pro ensures that risk can be mitigated without the burden of additional administration.